The first Equicizer was developed in 1982 by Eclipse Award winning Jockey/inventor Frank Lovato, Jr. Frank, who always felt there should be a riding simulator, built himself a horse made of wood and springs to simulate riding as a means to rehabilitate himself from a badly fractured leg he had received from a racing accident. The wooden practice horse he later named the Equicizer, amazingly helped him regain his strength, flexibility and fitness. 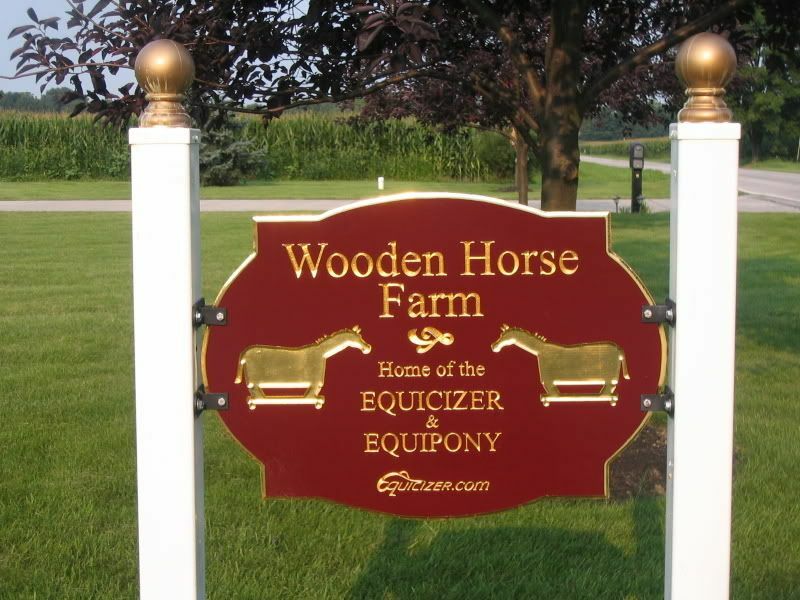 This idea was so well received by other jockeys that it inspired Frank to devote himself entirely to the development of the Equicizer as he continues to bring the Equicizer to a larger global audience. Norwalk, Ohio Shop and ship around the world. A video showing the history and story behind the Equicizer, as well as how it is made by Frankie Lovato, Jr.